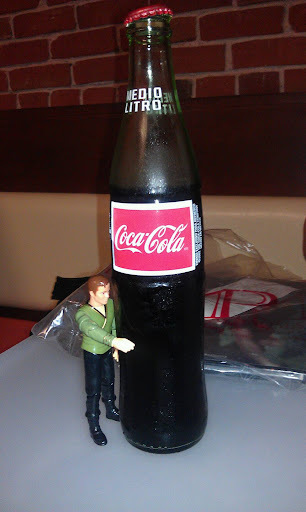 James knows the best Coke is made with real sugar. Best TARDIS with a TARDIS yet!!! all ready for my first full day of comic con!